Home / Basketball / Knicks demolish the Hornets and end 9-game losing streak. NEW YORK CITY, N.Y In a game that didn’t mean much with regards to their playoff hopes, the New York Knicks took on the Charlotte Hornets at Madison Square Garden. Both teams are struggling in the Eastern Conference, with neither team able to make any traction after the all star break. The Knicks, however, still have pride to play for and played an inspired ballgame where every shot the Knicks put up seemed to go in. The completely demolished the Charlotte Hornets 124-101 and brought life to the Garden. The game started pretty even with both teams firing shots off with no regard. After the first quarter it seems like Kemba Walker and the Hornets were going to come out with the win. Although they only led the game by 2 points, the Hornets just seemed more confident with their shot selection and were shooting a decent percentage. In the 2nd quarter, the Hornets fortune took a turn for the worse. The Knicks applied defensive pressure and forced the Hornets into some turnovers. The Knicks went on a good run in the 2nd quarter and went into halftime up 57-50. There hasn’t been many positives for the Knicks this season. Trey Burke has been a positive addition for the Knicks this year and against the Hornets he showed why. He posted 14 points, a team best 5 assists and 3 rebounds over a 19 minute span off the bench. This was his 4th double digit scoring performance in a row and he’s averaging 14 points over this time frame. 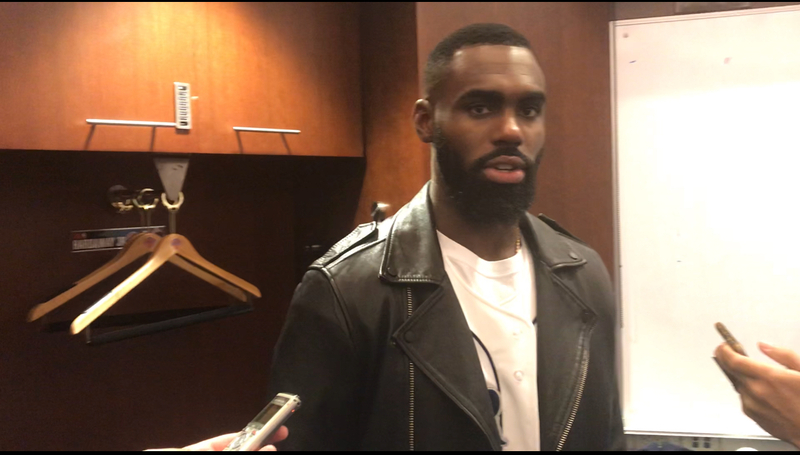 The Knicks leader was Tim Hardaway Jr. who scored a team high 25 Points, 3 rebounds and 3 assists in 29 minutes vs the Hornets. He looked unstoppable and looked to be aggressive getting the shots he wanted. When asked about Trey Burke’s performance Hardaway said “He’s going back to those Michigan days. The isolations on the bigs and those baby A.I. Moves, putting defenders on skates. I was Happy to see him play well”. The Knicks held Charlotte to 11 assists. The 11 assists are a new low for an opponent this season. They also ruined the home coming of NY native Kemba Walker who was held to 10 points and 2 assists. Dwight Howard had a solid performance scoring 14 and 13 rebounds while Dwayne Bacon added 15 points. Even though some Knicks fans would like to see them lose in order to have a better shot of getting a high lottery pick like a Marvin Bagley or DeAndre Ayton, they have a sense of pride to compete and play every game their hardest. Enes Kanter said “I get paid by the Knicks to win games and that’s exactly what I’m going out to try to do. I go out and compete for 82 games and give it my all”. We will see where the Knicks end up in the draft. As we approach the tail end of the season I’m sure there will be some changes made. Hopefully these changes are for the better and Madison Square Garden can return to to what it was in the mid 90’s. It’s a stretch for next season but anything is possible. Charlotte HornetsFeaturesMadison Square GardenNY KnicksTim Hardaway Jr.